Like every parent, I started worrying about Tom from the moment I knew I was pregnant. Once he was born, that worry only intensified. He was so small and so vulnerable and the world seemed so full of things that could harm him. Thankfully, I am surrounded by very practical, down-to-earth people. And some (long) time after Tom’s birth, I emerged from the sea of overprotective-new-mother hormones with at least some of my rational faculties still intact. That doesn’t mean that my heart isn’t still in my mouth every time I watch him making his perilous way upstairs, or negotiating his way down from the armchair in his room. It just means that I remember to swallow the words ‘watch out’ more often and fight back the urge to interfere. I really do believe that it is impossible to learn without making some mistakes. 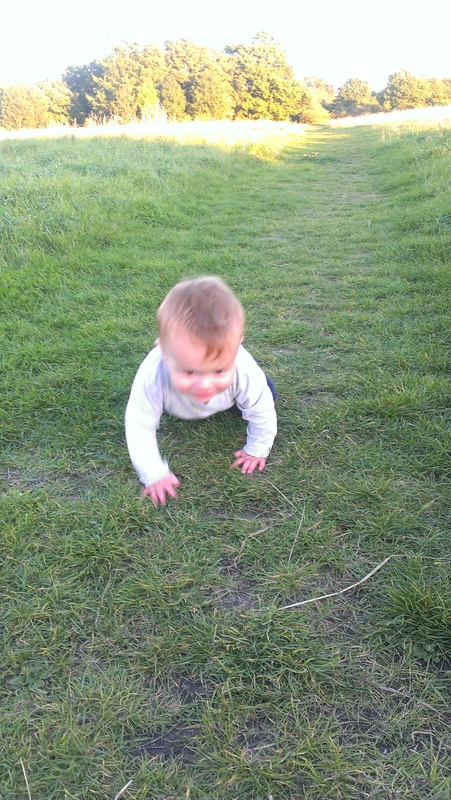 Like all new toddlers, learning to walk is meaning a lot of falls for Tom. But I’ve learnt to let him fall (unless it would mean serious injury), because otherwise he will never learn how not to fall. And a kiss and a cuddle soothes most bumps. Along with relaxing about Tom putting everything in his mouth, I have a very chilled out approach to him mucking around in the dirt. Granted, some does get eaten, but only minuscule amounts and there may even be some advantage to this. So that Tom can get on with exploring without me jumping on him every few moments, I scout out an area before we settle down. I avoid anywhere I can see dog poo , cigarette butts or large amounts of rubbish, pick up smaller bits of rubbish (I carry a spare plastic bag in my handbag just for this purpose), and try to choose somewhere that has a good amount of space, so I’m not constantly dragging Tom away from a bank of stinging nettles. According to the Nature Play website, most children have a ‘safety line’; a distance which they are prepared to go from you. Experiments with Tom suggest that this line will be just a little bit longer than what you would be comfortable with! However, I have found that he won’t go more than about 5 or 6 metres from me – a distance I can easily cover if he gets into a sticky situation. I can also see most of what he is doing, but am too far away to be tempted to interfere with every little thing. It’s taken some time for me to get used to this, and I am still not entirely comfortable with him being so far away from me, but he has never caused himself any damage and ‘checks in’ with me regularly (glances over to check where I am or comes over to show me something he’s found). Ultimately, I think that overcoming our perception of the outside world as ‘risky’ to babies and young toddlers takes time and requires a shift in attitude. 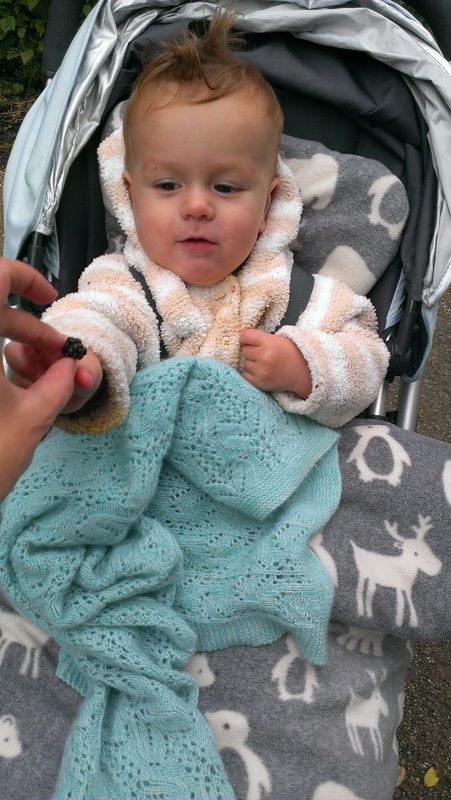 Once you see your baby as a capable small being, able to learn from his mistakes and act in his own best interests, it is easier to accept that the risks are not really as great as they first seem. 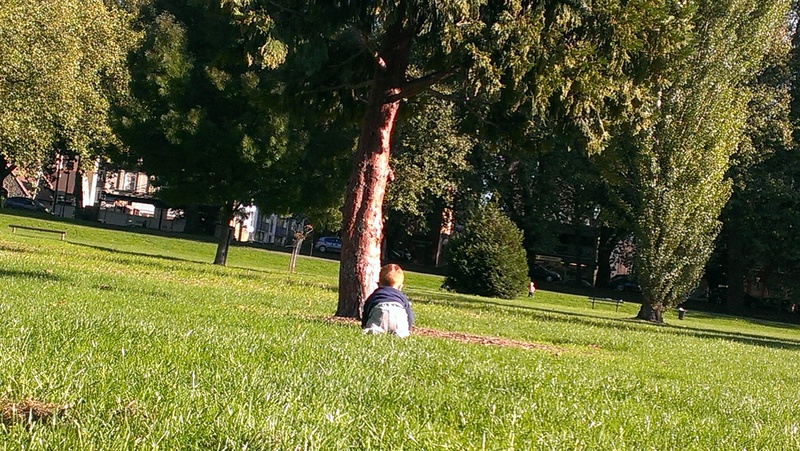 Posted on October 16, 2015 December 18, 2015 by LucyPosted in Food for Thought, Outdoors, Wild TimeTagged free play, nature play, Parenting, risk averse, toddler, wild spaces, Wild Time. Next Next post: We’re going on a…crab hunt?